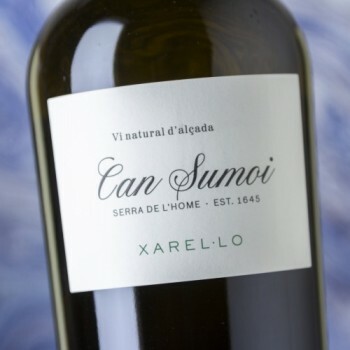 Produced with Xarello grapes grown in the Can Sumoi property, the 2017 Xarel.lo had an intense nose of fennel, aniseed and other Mediterranean herbs, with some balsamic and waxy apple aromas, still very young and undeveloped, with an electric and clean palate. 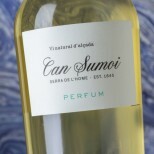 It's clear and was filtered before bottling, but no additives or sulfur were added. 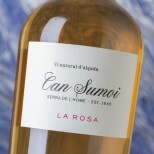 The palate revealed a lot of acidity and a very tasty, almost salty finish. There are some 20,000 bottles of this. It was bottled in January 2018. The wine is clean and harmonious, it didn't seem to have suffered from the bottling. Fermentación alcohólica y maloláctica espontánea con levaduras autóctonas. Embotellado sin clarificar y sin filtrar.